1. Fit for bicycles, mountain bikes, motorcycles, driving, sports. 2.The thumb and index finger ,made of silver fiber conductive material, so you can use phone ipad or other products easily. 3.Smart shock-absorbing , Reducing hand fatigue and avoiding the stuffy palm with antiskid glue. 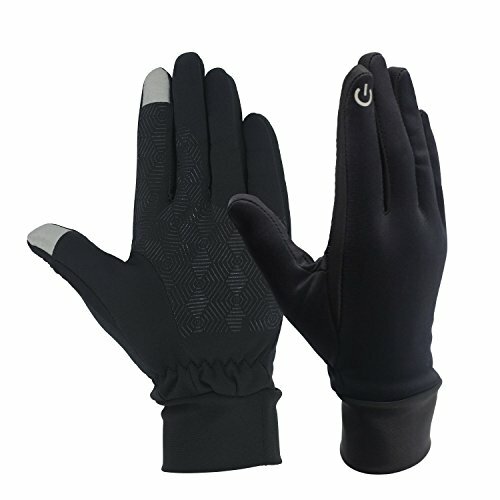 4.Wrist part is made of high-quality lycra material with high breathability and elasticity. Palms part is made of sanding lycra material with gently warm. 5.Smart shock-absorbing and antiskid glue on the palms.